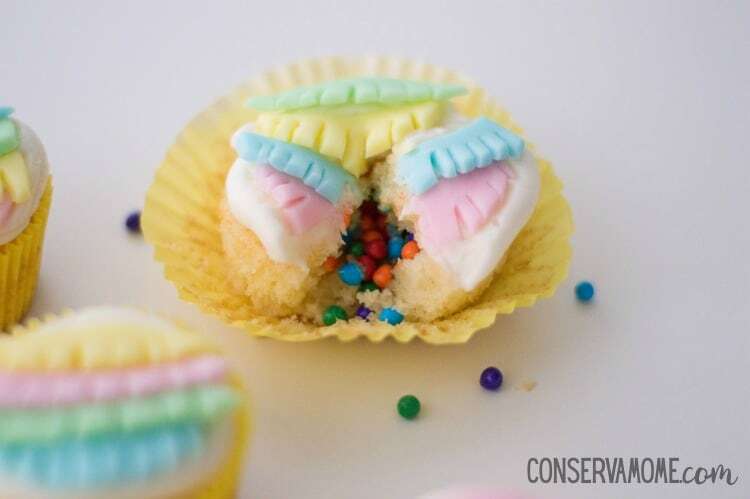 Have you seen those cute cupcakes with the filling inside? 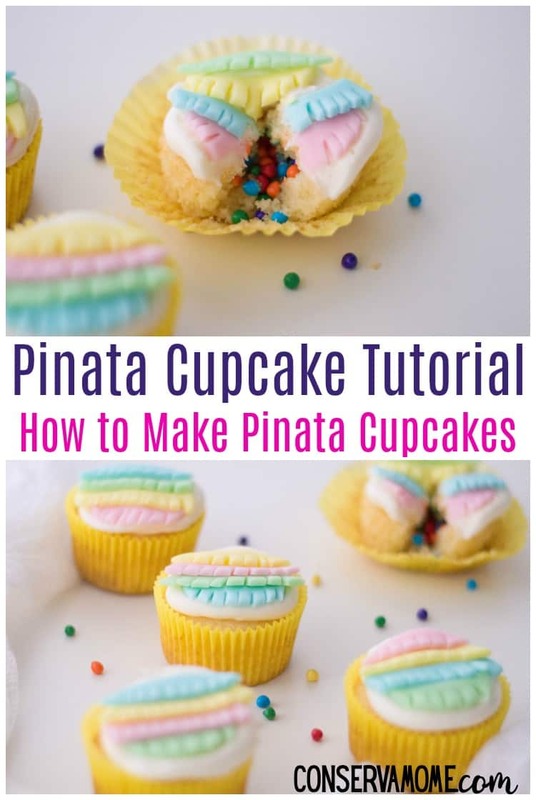 Here’s an easy Pinata Cupcake Tutorial an easy tutorial on How to make Pinata cupcakes. This post contains affiliate links, if you make a purchase I will earn a small commission at no cost to you. 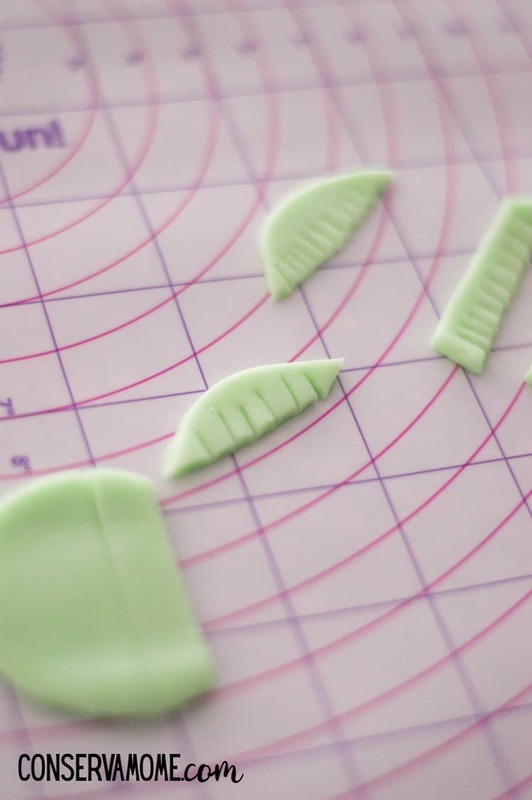 Roll each of your fondant pieces so that they’re each about ¼ of an inch thick. Using a cookie cutter about the same size as the top of your cupcakes, cut 3 circles of each circle. 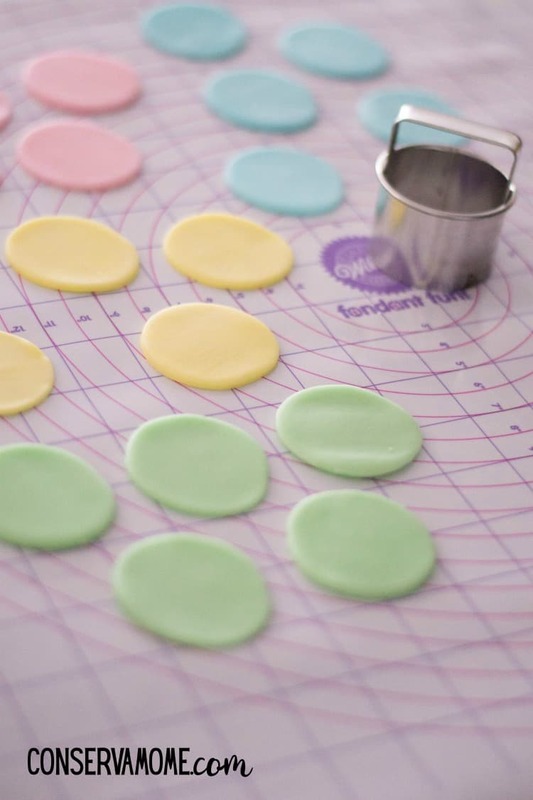 I used a fondant mat to facilitate the next step, but you can also line your working surface with wax paper. Using a paring knife, cut each circle into 4 strips. Then, on the bottom of each strip, cut out little tassels. 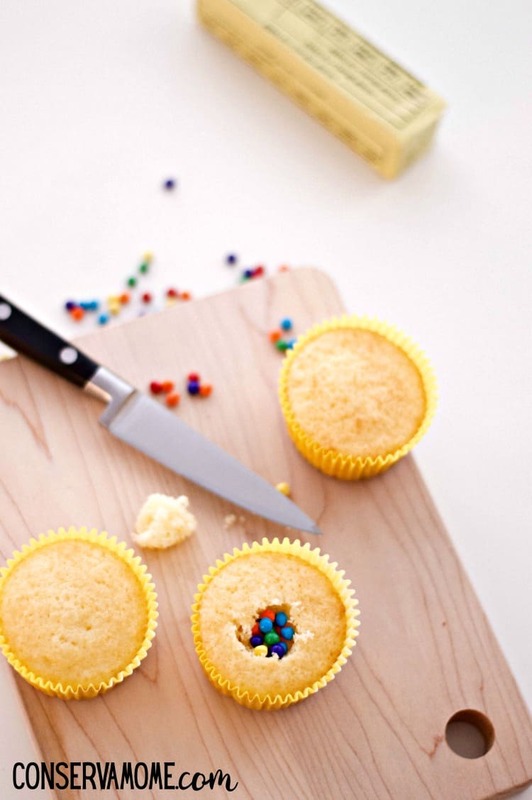 Using your paring knife, cut out the center top off each cupcake. Fill with candies and place the top back on. In a stand mixer, beat butter, sugar and milk until smooth. 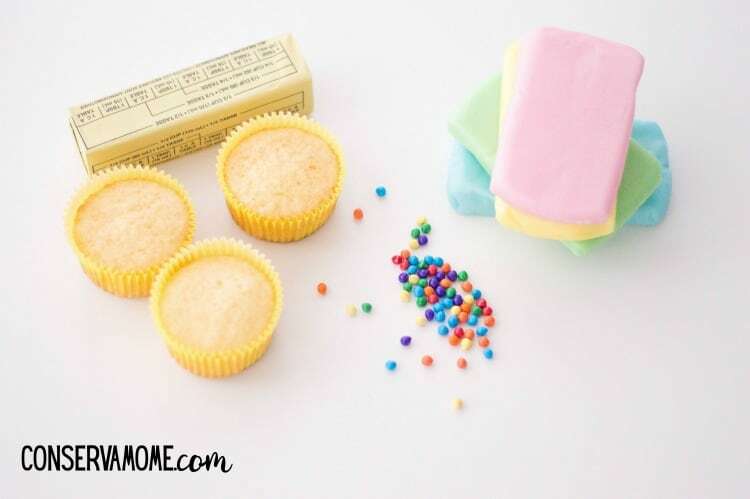 Place the buttercream in a piping bag and frost each cupcake. 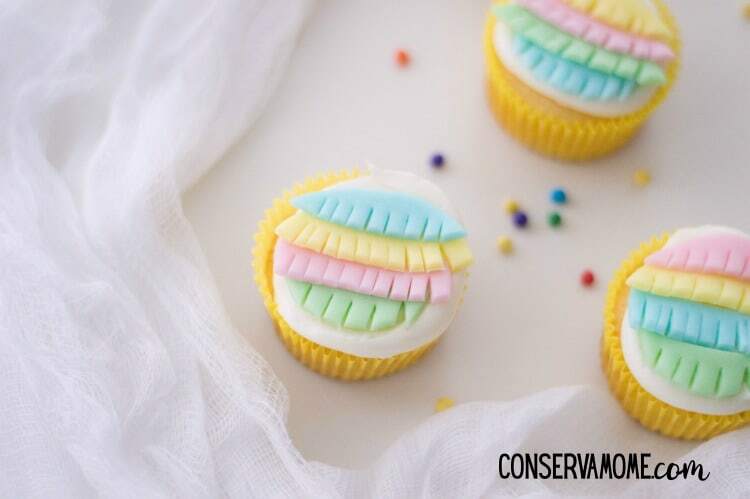 Alternating colors, place your fondant pieces on each cupcake. Be sure to add each piece as if you were putting together the circle again. Enjoy and time to party! Aren’t these adorable? People will love how fun they look and how delicious they taste! These are such a fun and creative idea! 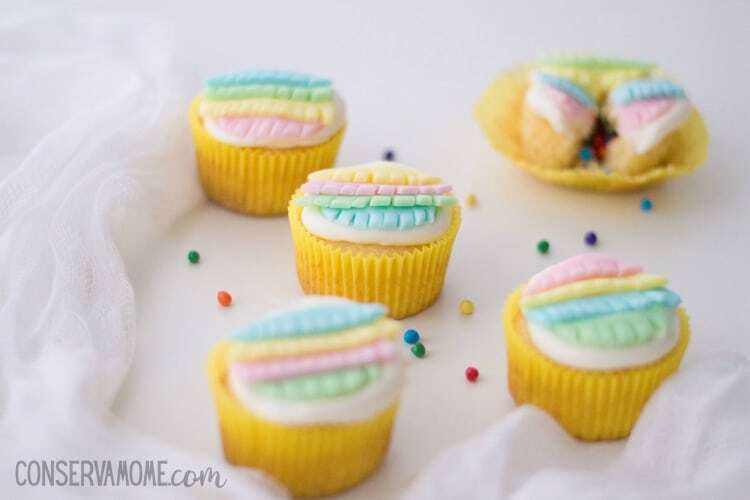 So make any event a huge celebration with these adorable cupcakes that people will think you spent HOURS doing and you’ll know it was as easy as cake! Looking for more fun ideas? Check out these 12 DIY Pinata Tutorials. With 12 different pinatas you’ll love to make and are actually easier than you think.